If you’re not familiar with this particular game show (and I can’t believe I am admitting I am familiar with this particular game show! ), the basic premise is while one spouse is sequestered, the other answers the question. Then the sequestered spouse comes back out and tries to answer the question the same way their beloved did, in an effort to score the most points and see which couple is the most in sync. My husband asked me how I would answer the question “When was I at my most beautiful?” I think I shocked him when I told him I would say right now. He agreed (smart man! ), but was surprised given how much I have struggled with my self-esteem, in particular with my appearance, over the years. I haven’t always thought I am beautiful. And the truth is, when I look in the mirror most days I still have a hard time defining myself as such. Like most women, I am my harshest critic. But I am learning that rather than assess myself and my appearance by what I see, to do so through the lenses of the One who created me. Several years ago I struggled with obsessive dieting and overeating. My whole life was arranged around what I could or couldn’t eat, how much I would eat, and when. I wanted desperately to weigh a specific number, and until I reached it, I felt defeated. And ugly. In all honesty, I still have my moments. It’s hard not to compare yourself against the standards our culture has set up for us. But one day during the worst of that season, I started studying Psalm 139. As I read verses 13-16, I allowed the truth of what they spoke sink in. God ‘s creation is worthy of praise. God’s creation is fearfully and wonderfully made. God delights in His creation and has a plan for it. And I am God’s creation. He delights in me. He took the time to create me with great care and attention to detail because He wanted to. He has a plan for me. And He thinks I am beautiful. As those truths have settled into my heart, I’ve begun to stop measuring my beauty by the colour of my eyes or hair, by the softness of my skin, by the number on the scale, and instead have begun to measure my beauty by how God sees me and the plans He has worked out so far in my life. The passion He gives me for preschoolers. The birth and raising of each of our four kids. The relationships in my life – my marriage, my family, my friendships. Each day of my 37 years has been written and recorded, even before I lived one single moment of them. The story of each of these days has shaped me and formed me into the woman I am today. It shows up in the laugh lines around my eyes and the worry lines around my mouth, in the stretch marks on my belly, in the aging of my hands, even the pop and protest of my bad knee. I am beautiful because I am His beloved daughter. Ladies, let's end this post with some encouragement in the comments. When you look in the mirror or into your life, instead of seeing the flaws, let's look for beauty. What do you see that God did? 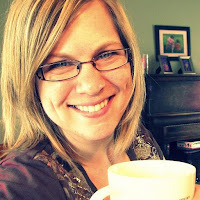 Andrea is a sleep-deprived wife and mom of four with a passion for Jesus. She has been a working mom, a work-at-home mom, and, more recently, a stay-at-home-mom to two girls and two boys: one teenager, two tweens, and a surprise baby. Even still, she has yet to figure this mom thing out. 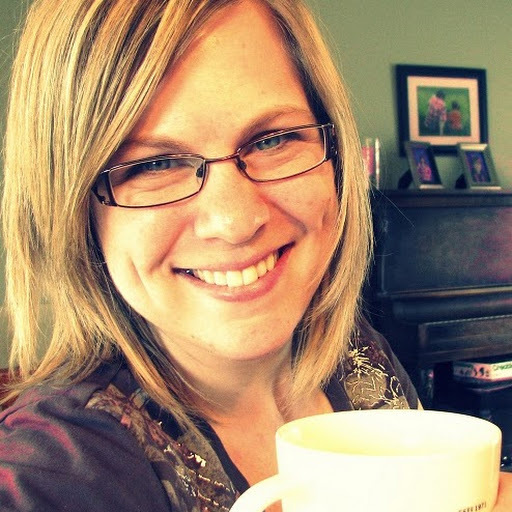 Andrea is passionate about community, living authentically, and choosing joy. When she’s not running kids to sports practices, piano practices, and keeping the baby out of the dog’s food, she writes about her journey with Jesus with in an effort to encourage other moms trying to survive. Or at least get through the day on minimal amounts of coffee. (FYI: She also loves coffee.) You can connect with her at her blog Under Grace & Over Coffee. "The King is enthralled with your beauty. Honor Him, for He is your life." Great words, friend. I love Gaby's comment above, I think she is right on. We put so much stock in beauty. We base many (if not all) decisions on appearances. From produce, to paint colors for our home, to our cars, clothes, furniture to what seems to be the best deal for us. I definitely think we all have our own idea of what's beautiful. When I have a bad hair day I don't feel good about how I look. "Charm is deceptive, and beauty is fleeting; but a woman who fears the LORD is to be praised." Prov. 31:30. Amen! Thanks for sharing, An! "have begun to measure my beauty by how God sees me...." This is a great challenge and encouragement. 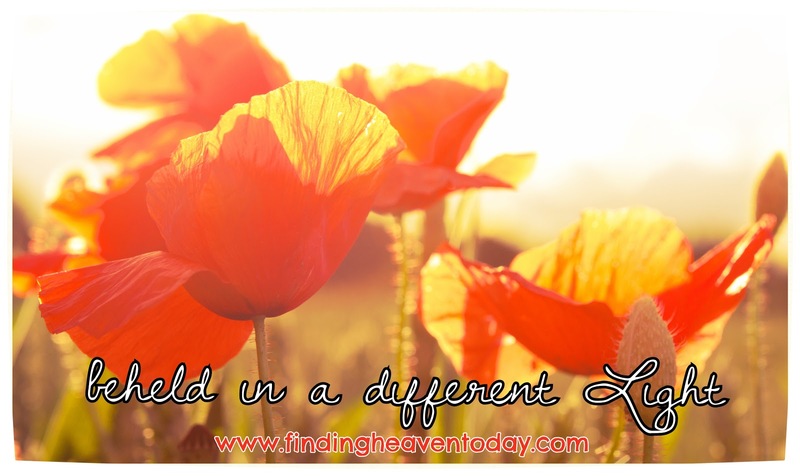 I've really been struggling with this, particularly this week, so thank you for your post. Love you girl! I struggle with this issue many days. Accepting myself, just as God created me. Everything God created is beautiful! God created me, so therefore, I am beautiful in His eyes! I am going to pose this question to my husband tonight to see what he thinks (hope he's a smart man! ), if we have a chance to sit down together for a few quiet minutes?!?!? Thanks Andrea for your perspective! I needed to hear this today! Hey lady....thanks for yet another timely and beautifully written post. Oh! How I have been struggling with this lately!! I was going to start listing in this comment, but I think I need a few moments to journal the question, what do I see that God did?? Thanks for the prompt! Blessings my friend! Andrea! I love seeing you here - your pretty smile and your beautiful heart. Thank you for the way you expose truth here. I need to meditate on those last two lines, "Your works are wonderful, I know that full well," so that I can live it out. ALL his works are wonderful, and I KNOW that - full well, even! Wonderful post. I enjoyed reading your post, Andrea. You're beautiful inside and out! We must see ourselves as God sees us. Our identity is in Christ. Loved. Redeemed. Treasured. We all are beautiful princesses in God's eyes :)!